Some are shallots and plenty still in the ground. But oh do they carmelize nicely. 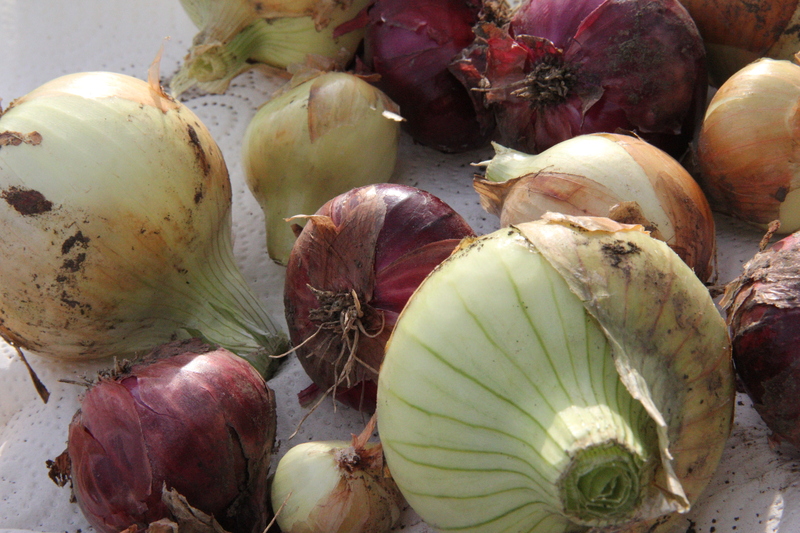 This entry was posted in Gardening, midwest, Nature and tagged onions by edges. Bookmark the permalink. Someone stole a few of my beautiful onions this week at my Community Garden plot. Next dry spell I guess I’ll have to go harvest what I can before someone else enjoys all my hard work. Oh that’s awful. You don’t normally see a lot of that, but of course it happens. It’s a shame because so much of the program is based on trust and so many people at the gardens are just awesome and donate to the food bank etc. But there’s always someone who thinks they are above it all.